Asparagus season is full swing so enjoy every minute of it. 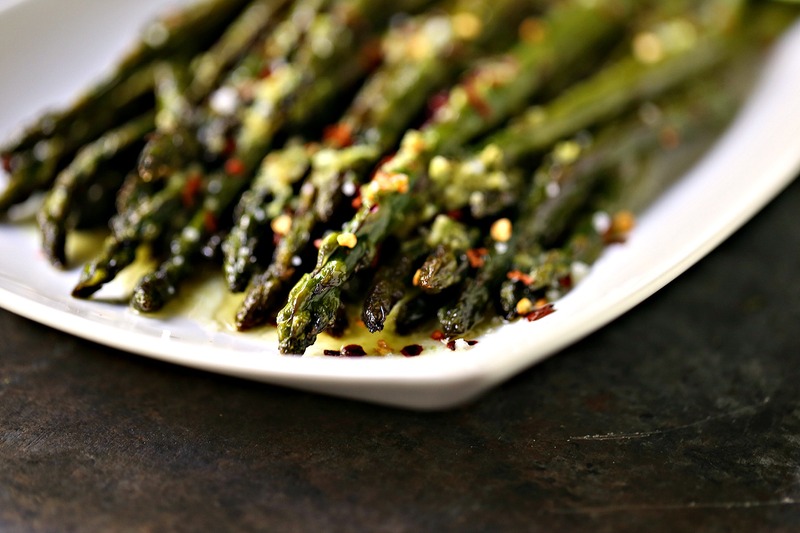 This skillet asparagus is a quick and tasty side dish that will get rave reviews. My family voted it the “Best Asparagus Ever”! I’m not sure if you know this but I didn’t eat asparagus until about 10 years ago. My sister introduced me to it when she visited us in 2007. She came down during the summer. We were enjoying some sister time by hitting the local farm stands. We do not have a local farmers market but we live in a small town surrounded by farm stands on the back roads. She was on the hunt for local corn on the cob but it was a tad too early in the year for it. She found some asparagus and asked if I liked it. I had no idea how to cook it or how it tasted. My sister was in complete shock. I mean, I’m a foodie so how did I not know how to cook asparagus. She was determined to make me a believer. So, she set out to teach me a new recipe. I’ll tell you this with complete honesty, my sister is a FAR better cook than I am. She is incredibly talented in the kitchen but then again, she’s talented at every single thing she does. She taught me how to steam asparagus first with a little butter on it. Then she taught me how to roast it in the oven, also with butter. I quickly learned butter is asparagus’s bestie. For me, butter goes with asparagus just as perfectly as it goes with corn on the cob. They are perfect together and you don’t mess with perfection. Keep it simple. 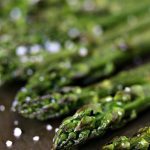 For this recipe I cooked the asparagus in a cast iron skillet. A few minutes with a lid on, then hit it with some butter, lime zest, and lime juice. It’s asparagus heaven. I know what you’re thinking. But Kim, asparagus always goes with lemon. That’s true. It pairs incredibly with lemon. However, it also pairs perfectly with lime. No joke, man. This little trick was stumbled on by accident as most great flavour combinations are. I ran out of lemons years ago and used lime instead. Best decision ever. It was a thing of beauty. Taste buds were exploding with happiness. 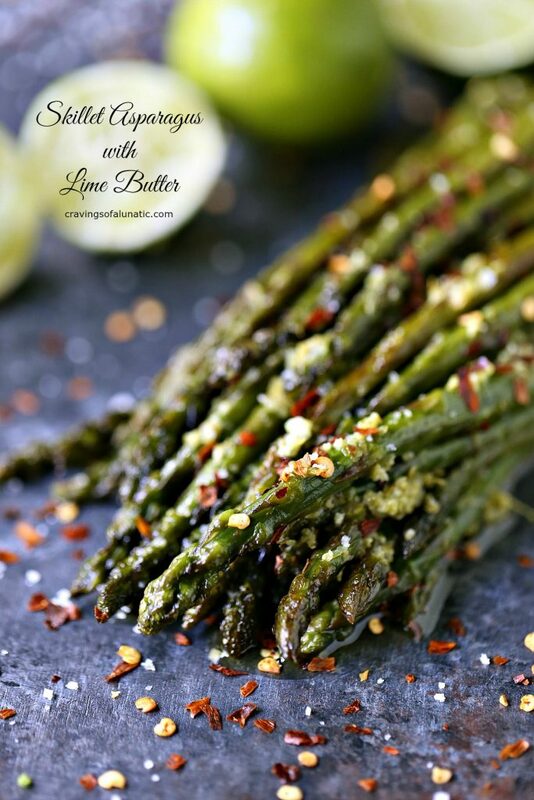 I kept going back for more and more of the lime asparagus and a favourite recipe was born. Seriously, I cannot thank my sister enough for teaching me how to cook asparagus. I can’t thank her enough for a lot of things but that list is too long for today. As the years went by I became an asparagus fanatic. I cannot get enough of it. This time of year is amazing. The asparagus is young so the flavour is outstanding. Thin stalks rule. Run out to your local farmers market or farm stand to pick up some tasty asparagus. 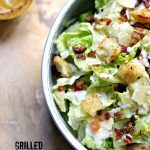 Once you get home whip up this amazing recipe and let me know what you think of it. This month I used Gay Lea Salted Butter Sticks for my recipe. Salted butter is my favourite butter to use on asparagus. You get the flavour of salt with the texture. I’m seriously addicted to their butter. It’s perfect to cook and bake with so I use it constantly. I keep oodles of it in the fridge for asparagus emergencies. Which happen often here. Gay Lea is hosting a fun interactive contest right now! Stop by the website to play Gay Lea’s Nordi-cows game and you could win fun prizes. It runs from Monday, May 29th, 2017 until Friday, July 7th, 2017. Visit the page to play along. You can also check out Gay Lea Foods’ Facebook page for more information. The contest is to celebrate the launch of their new product: Nordica Plain Smooth Cottage Cheese. It’s amazing! Good luck to everyone who enters. It would be cool to see one of my readers win a prize! Swing back here if you do so you can tell me all about it. Once you’re done playing the game I highly suggest you run to the store to stock up on asparagus and Gay Lea Salted Butter Sticks. Lots and lots of both! 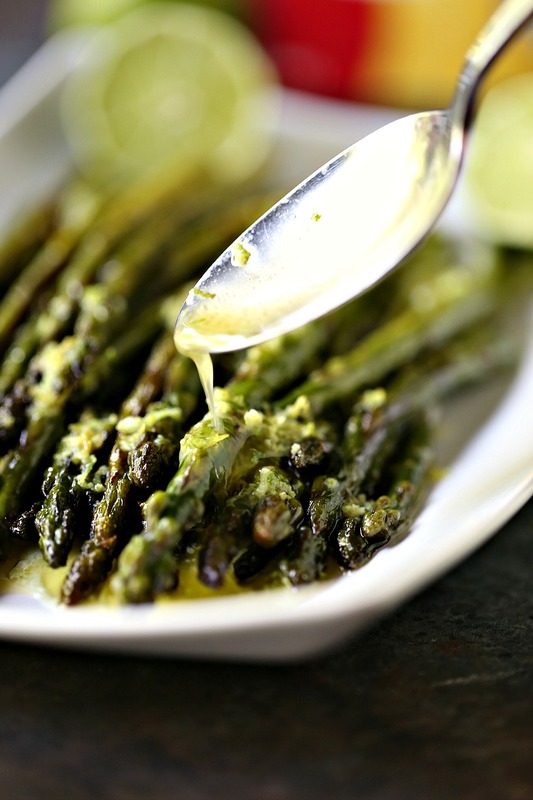 Then whip up my Skillet Asparagus with Lime Butter. 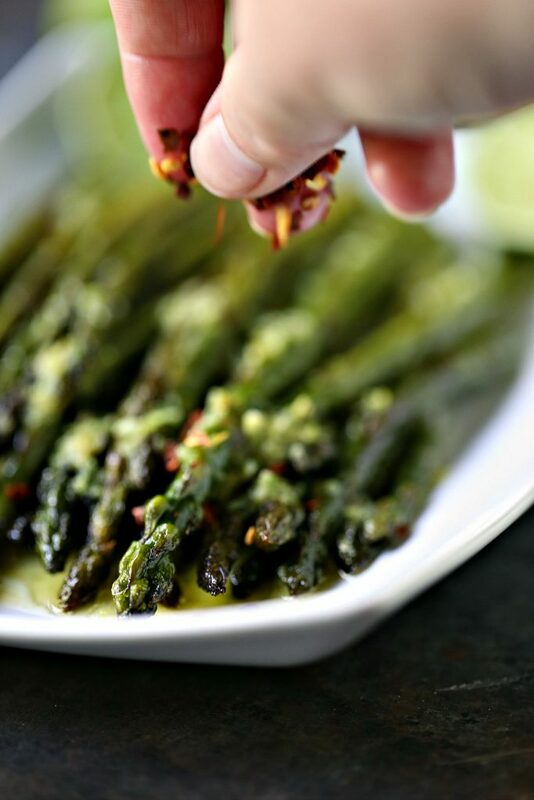 Be sure to toss some red pepper flakes over top of the finished asparagus. It’s the best flavour combination…EVER! I mean who doesn’t love asparagus with butter? No one. That’s who. All the coolest people love asparagus. The uber cool people love theirs with LIME BUTTER! 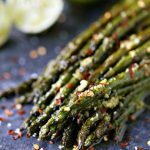 Wash asparagus and snap off the ends. Discard ends. Heat olive oil in a cast iron pan over medium heat. Add asparagus and use tongs to stir thoroughly to coat all the stalks evenly with oil. Place a lid over top of the pan cook for about 3 to 4 minutes. Remove lid and set aside. Cook for another 5 to 6 minutes, stirring often to cook all sides evenly. Remove from pan and place on serving dish. Whisk hot butter, lime zest, and lime juice together in a small bowl. Pour over asparagus. Toss to coat evenly. Sprinkle with red pepper flakes and salt. Serve with a big old asparagus loving smile! You can add the butter, lime zest, and lime juice in the pan at the end of the cooking time if desired. Personally I like it added later for this particular recipe but if you want to add it to the pan that's acceptable. I like my asparagus fairly soft. Adjust cooking time depending on how you like yours cooked and also according to how thick your stalks are. PIN THIS TO YOUR FAVOURITE VEGETABLE BOARD! What is your favourite way to prepare asparagus? This looks so tasty and full of flavor! 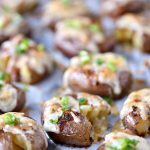 The perfect side-dish! I love asparagus, especially this time of the year where it is so abundant! The flavours sounds so good! 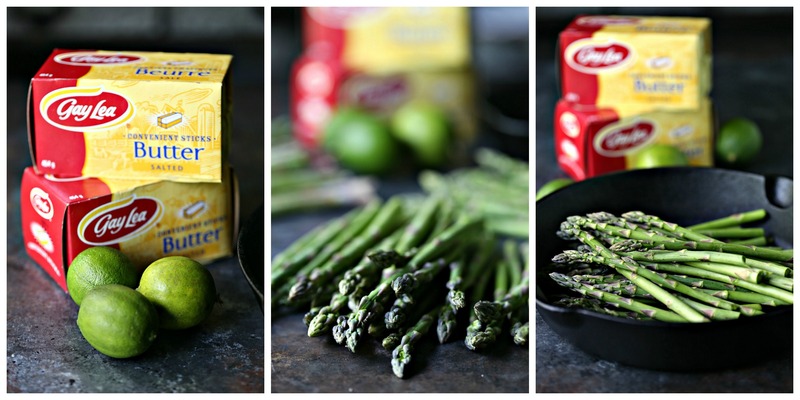 I always tend to use lemons with asparagus, but next time I am going to use lime! 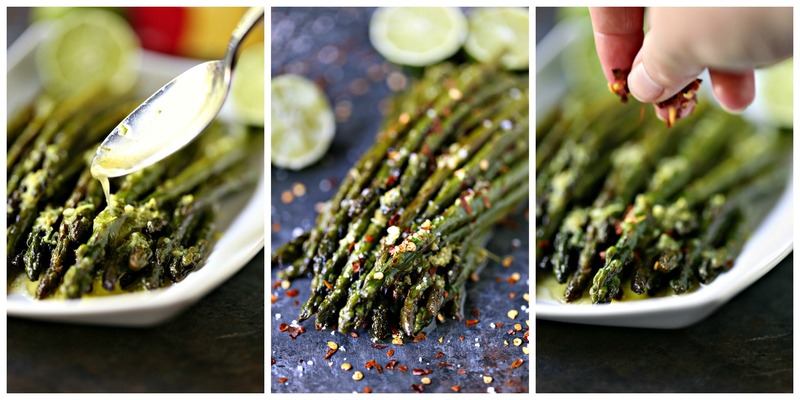 I love asparagus and this sounds amazing with the lime juice and butter. Definitely going give this a try! 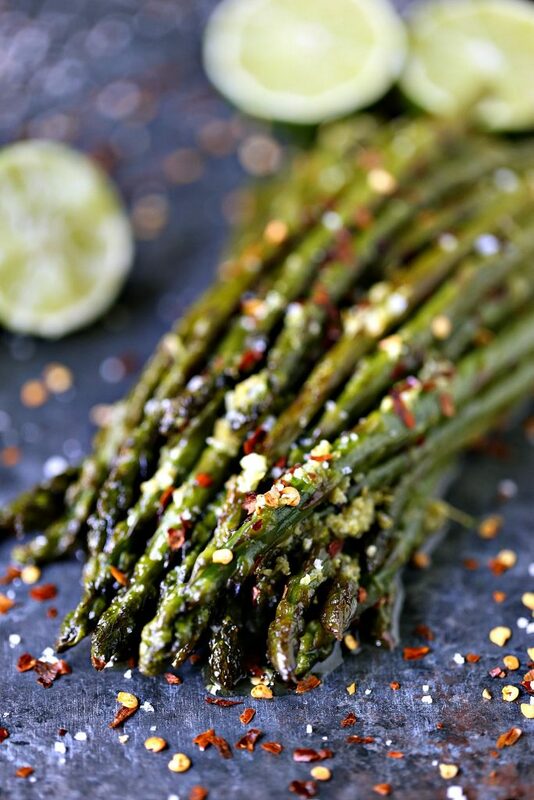 I love this preparation of asparagus. I usually just roast them. 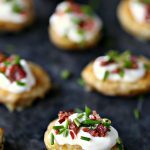 This recipe is freakin awesome! I always have lime – we are a crazy household obsessed with lime. haha so this recipe is so perfect! Time to hit the farmers market this weekend! This looks absolutely delicious. YUM. So simple too. Flavorful! We all love asparagus and I usually add a touch of lemon. Why have I never tried lime?? Looks awesome! I’ve heard of lemon butter, but lime butter? I SO need to try this! 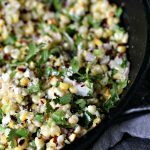 What a great side dish! I love the addition of the lime. Wow so Easy to make. Very Flavorful. My Husband Loved It. I will make it again. Hi Paula. I’m so happy your hubby loved it. It’s my favourite asparagus recipe ever so I’m so thrilled to hear you liked it. Thanks so much for stopping by to let me know. I really appreciate it. Have a great week.